The “Able Criminal”, as defined by noted criminologist Frits Krom, strikes with no discernible pattern or method, and flies below the radar of crime syndicates and law enforcement agencies alike. He is virtually uncatchable—but Krom is willing to try. He knows that Paul Firman, the director of an ostensibly legitimate international investment firm, is in fact an expert in tax avoidance and a textbook Able Criminal. 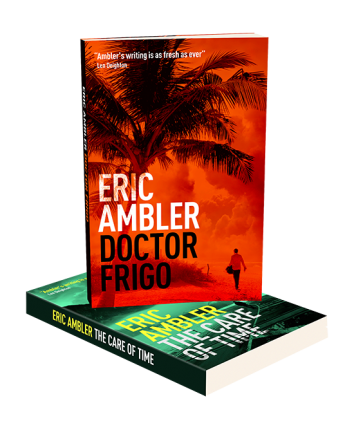 Surprisingly, Firman agrees to submit to an interview with Krom and his two colleagues at his secluded villa on the French Riviera. He’s more than a little curious about what they really want from him and confident he can avoid implicating himself. But it soon becomes evident that the host and his guests are under siege by a third party, one whose motives and violent intentions are unclear. If they are to survive, the criminal and the criminologists will have to band together. 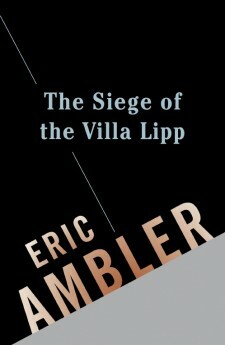 The Siege of the Villa Lipp is a classic Eric Ambler tale of suspense in which a man thrust into a high-stakes situation, far outside of his usual expertise, finds himself at the mercy of forces beyond his control.